This module offers complete stock, orders and suppliers management, completely adapted to multi-site organisation. It can be completely integrated to other modules and so facilitate the information flow or the actions to realise from a module to another. 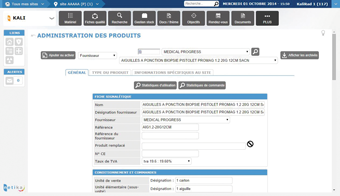 The configuration of the stock enables a precise management with the flow optimisation. It is possible to export into an Excel (.xls) or Adobe (.pdf) formats. The assessment of the suppliers meets the ISO15189 Standard requirements (deadline respect, expiry dates...). 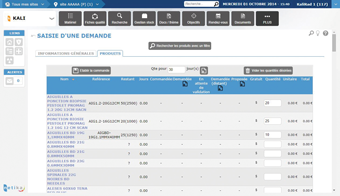 The order management can be done by FAX and a purchasing portal: Diagdirect, Roche, Greiner, CML, DSL... Netika is a member of the Economic Interest Group DiagDirect. The tool can read the Gencod barcode labels. It also can label the non-standardised Gencod products and can destock with a barcode scanner.